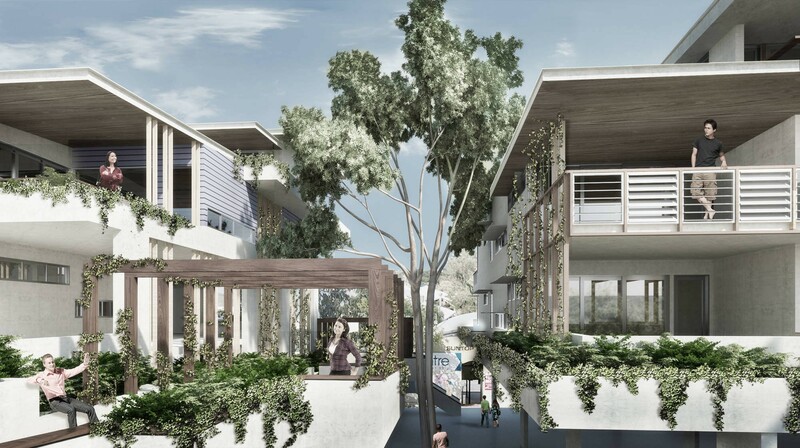 As a 53 multi-unit residential proposal, Bark introduced the concept of ‘Breathable Subtropical Architecture’ into the design proposal to demonstrate higher density, affordable, adaptable and functional permanent accommodation options for the area that were appropriate in scale and suited for the Sunshine Coast climate and place. 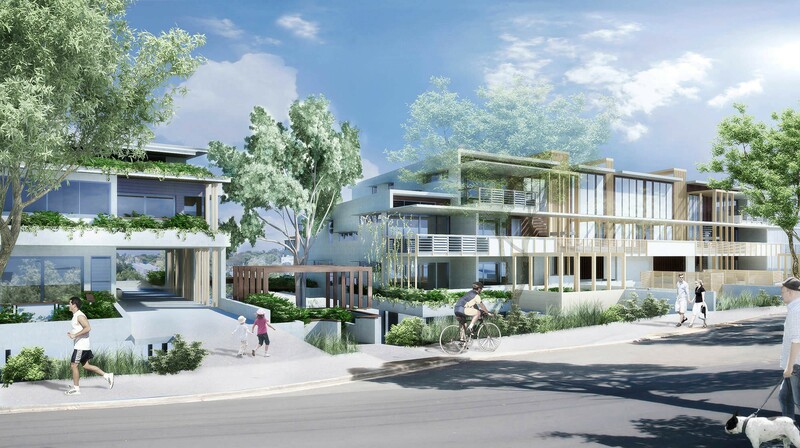 Bottlebrush Avenue Housing Development is an architectural design study undertaken to explore potential residential development options at the Noosa Junction Village Centre. As the population grows in our region, village hubs will need to provide a higher-density mixture of housing types for the Sunshine Coast to retain its landscape-rich character and lifestyle amenity. 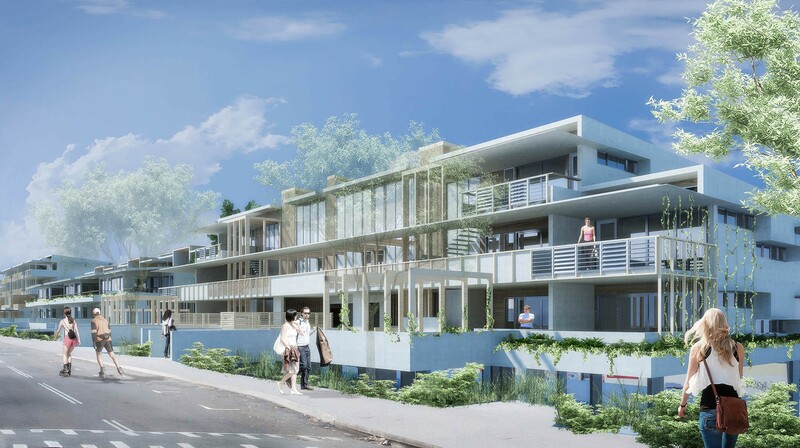 As a catalyst test project, this scheme proposes a vibrant mixture of studio, one and two bedroom units, celebrating subtropical fine grained architecture which responds well to the Sunshine Coast climate and natural environment. 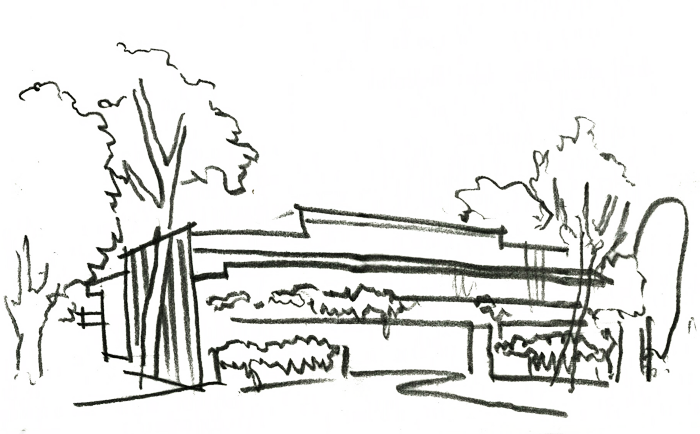 Four design options that explored varying degrees of density and yield were tested to arrive at a benchmark solution that provides an appropriate and exciting housing vision that is suited to the site, region and climate. The scheme explores the transformation of an existing public carpark into a vibrant, multi residential, fine grain village. 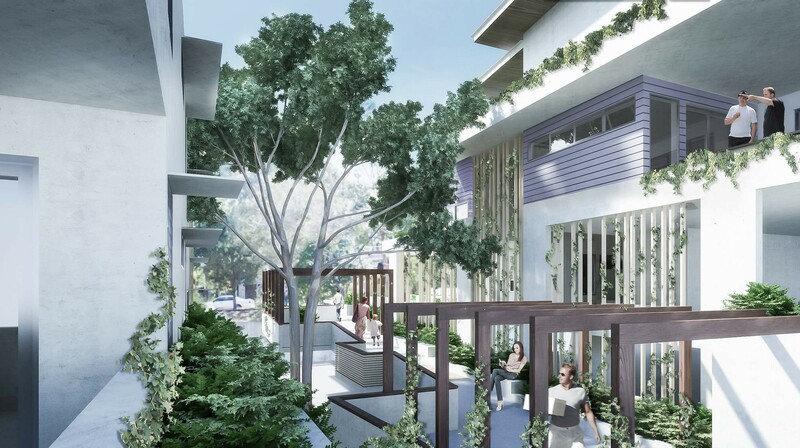 Predominantly low rise built forms, this subtropical housing scheme boasts active street frontages, dynamic public spaces and efficient land use with landscaped pedestrian nodes and key linkages through to the commercial precinct and public transport infrastructure.